The European Commission is following with interest the battle between Google and Visa, which have both stepped up their offers of "digital wallet" services. EURACTIV has seen a draft of a public consultation document that the EU executive will launch in January on internet and mobile payments. The struggle to control the emerging mobile payments market took a new turn this year when Google launched in May its eWallet application for smartphones, in partnership with MasterCard. Google says its eWallet is open and supports payment instruments, "with the goal being to create virtual versions of all the plastic cards that exist today." For the moment, the service is available only for a limited number of smart phones using its Android platform. Visa reacted by saying it was already on track with a similar service of its own. "Without question, the stakes are high," Jim McCarthy, head of Global Product at Visa, writes on the company's official blog. "Mobile technology will transform how people pay for goods and services in the future." Visa claims it already has a "global, comprehensive solution" enabling consumers to make transactions "wherever, whenever" by using a card, a computer or a mobile phone. The firm's "digital wallet" service, launched in autumn this year in the US and Canada, integrates different digital payment solutions – whether developed by Visa or not. "We are committed to providing consumers with choice by allowing them to make mobile payments with whatever mobile device they choose using the trusted accounts they already have," McCarty said. Meanwhile, the European Commission is watching with interest and plans to launch a public consultation (Green paper) on mobile payments, on 11 January. The Green Paper, titled "Towards an integrated European market for card, internet and mobile payments", will look into the new possibilities offered by these technologies with a view to promoting the digital economy. "Innovative payment means, such as internet payments and mobile payments, are a new field for EU policy," the Commission says in a document detailing the reasons behind its initiative. Depending upon the results of the public consultation following the Green paper, followup measures will be considered by 2013, the Commission said. The Green Paper, obtained by EURACTIV, cites market research which estimates that, between 2010 and 2012, the value of all mobile payments will globally increase from $100 billion to $200 billion. Other studies suggest that the value of m-payments will globally surpass $1 trillion in 2014, with $350 billion in Europe alone. Millions of Africans are already using mobile phones to pay bills, move cash and buy basic everyday items, according to a BBC report, with Kenya one of the leaders in m-payments. However, the Commission says market penetration of m-payments in Europe is still very limited because of the strong fragmentation of the mobile payment market. 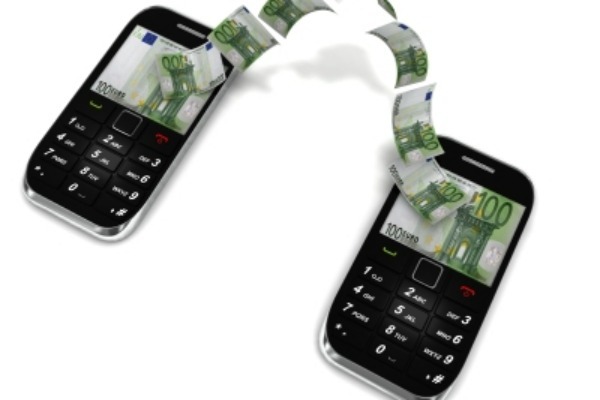 "The key market actors – mobile network operators, payment service providers, mobile phone manufacturers – have not yet agreed on a viable business model enabling inter-operable payment solutions," the Commission draft underlines. The paper cites a "stalemate between Mobile Network Operators (MNOs), traditional payment service providers (banks) and 'e-players', such as Google, Apple or RIM (Blackberry)," with MNOs "seeking to retain control of the business, at least in their role of security manager for the service." "In any case, it seems likely that the private players controlling the standards and, hence interoperability, will have dominance across the whole payment chain: the device itself, the application platform and security management," the Commission notes. "In this situation, there is a serious risk of fragmentation through proprietary solutions." Another issue flagged in the Commission consultation document is the security of online and mobile payment systems. Sensitive customer information should stay within a secure payment infrastructure, both in terms of processing and storing data, the EU executive believes. "It is crucial that authentication mechanisms for payment transactions comply with this and that the number of parties having access to authentication data during or after a payment transaction is minimised," the draft paper says. BEUC, the European consumer organisation, warned about possible online data theft and fraud when making mobile payments. But it also sees innovation as a way to bring more competition on the payments market which is currently dominated by Visa and MasterCard. "BEUC considers that the dominance of banks in the payments market, which provides them with high revenues, is a barrier for new entrants and innovation. Consequently this issue should be addressed if theEU policymakers wish to see the emergence of alternative payment services." EU Consumer organisation BEUC warns that emerging electronic payment systems will bring both new challenges and opportunities for consumers, which the Commission should address in its upcoming Green Paper. "Our general position concerning all retail payment methods is that they should be convenient, safe, affordable, transparent and not detrimental in terms of personal data protection," said Johannes Kleis, head of communications at BEUC. Besides, the move towards a cashless society could lead to new problems such as a reduction in the number of ATMs and make access to cash more costly. Ultimately, a switch to e-payment systems could also increase financial exclusion as not everyone has a smartphone or computer, it argues. The Payment Services Directive (PSD), adopted in 2007, aims to create a true European market for payments that would ideally lower the costs for both consumers and businesses (see EURACTIVLinksDossier). Under the directive, payments are no longer reliant on an account held in a specific bank and can be made through a whole new series of different channels, like utility companies or mobile phone operators. 11 Jan. 2012: Commission expected to publish Green Paper: "Towards an integrated European market for card, internet and mobile payments". 2013: Commission to consider follow up measures, including possible legislation.